Property agents are coming to terms with a tougher set of training guidelines aimed at raising industry standards. The new code requires agents to attend training courses that have been split into three areas. They must undertake at least one course from each category within three years. Agents who fail to meet the new standards will not have their licences renewed once the three years are up, said the Council for Estate Agencies (CEA), which introduced the new rules. This is a step up from the previous regime, which expected agents to clock up just six hours of training a year with at least three hours spent on prescribed modules. Under the new guidelines, which came into force on Oct 1, courses have been organised into different training areas. These cover professional ethics, the Estate Agents Act and Regulations; laws and government policies related to estate agency work; and practice-related knowledge and issues. The courses, which will be reviewed every year, have also been graded into three levels of expertise to match an agent's proficiency. 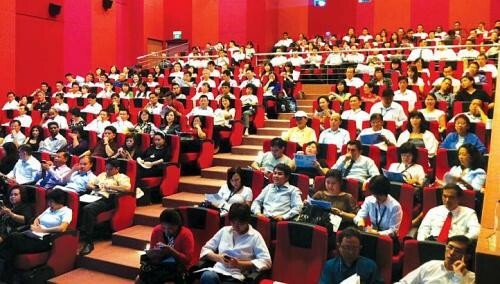 "Salespersons can choose the level of course that is appropriate for them and develop their knowledge in a specific subject progressively by choosing to attend courses on the same subject at a lower level before going to the next higher level," said the CEA, which held a briefing on the guidelines yesterday. Its director of regulatory control, Mr Chan Mun Kit, said the changes were made as more had to be done to address the industry's diverse learning needs. "The (new) training road map will give key executive officers and salespersons a systematic framework to guide them in planning their training so that they can continue to grow professionally and conduct estate agency work competently and ethically," he said. "This will help to enhance the industry's professional stature and instil greater public confidence in salespersons."